I wanted to do something fun for Easter this year and I have seen all the fun Farmhouse style signs, and wanted to try one myself. I didn't get a picture of my husband cutting the wood - I guess I was in a hurry to start the the project :). We cut a piece of MDF to the size I wanted the sign, and then cut the the trim pieces for the frame. 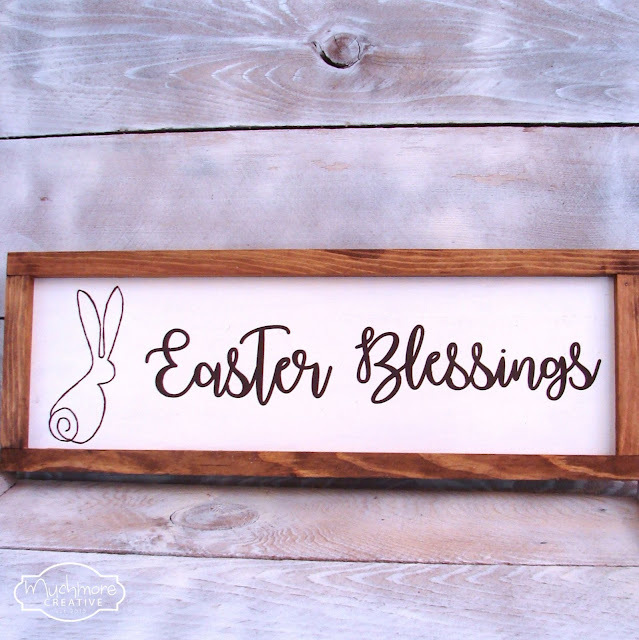 Then, I stained the frame with some wood stain that we had in the garage. I like to use a cloth to apply it. 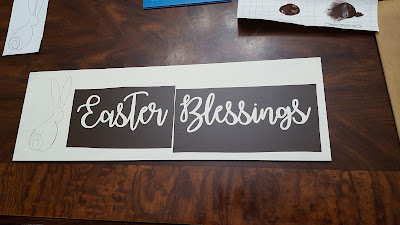 I then cut the letter out of vinyl using my cricut, and free handed a bunny. 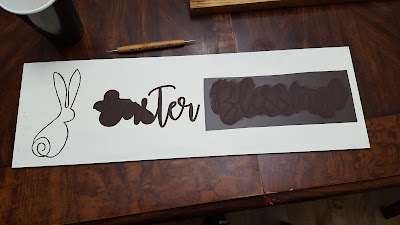 I then put the vinyl on the wood and used it as a stencil. For the bunny used some graphite paper and traced it onto the wood. I then painted the letters and the bunny, and pulled up the vinyl. I actually did this project with a good friend of mine, we both loved how they turned out! Well that is the most darling bunny! I love the sign, it caught my eye in my feed and I had to pop by for a closer look. Adorable sign! Visiting from Party in your PJ's. Thanks for sharing. 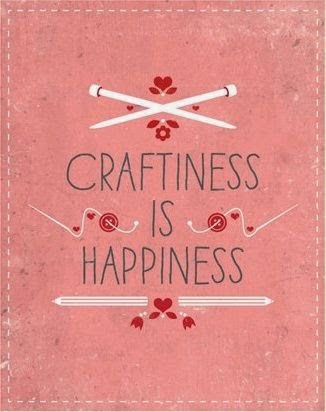 What a cute sign! 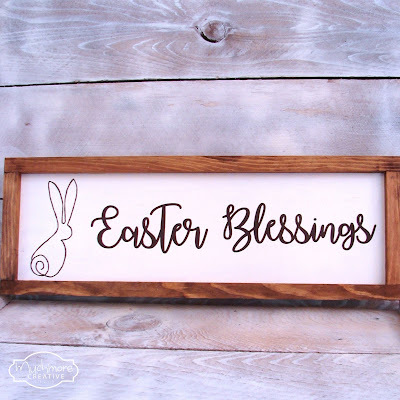 It's a fun farmhouse decor piece for Easter.Pinning. It turned out so cute. Love the font! Thanks for sharing with SYC. The bunny is so cute! Thanks for sharing with Party in Your PJs!